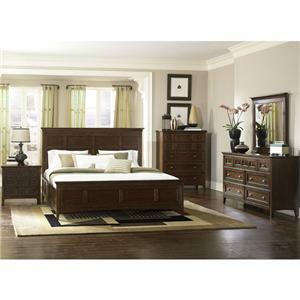 The Sutter Creek California King Bedroom Group by Coaster at Dunk & Bright Furniture in the Syracuse, Utica, Binghamton area. Product availability may vary. Contact us for the most current availability on this product. Drawer/Shelf Construction Finished drawer boxes with brown felt lined top drawers. English dovetail construction, front and back. Case Construction Wire brushed surface. Acacia, acacia veneer and select woods. 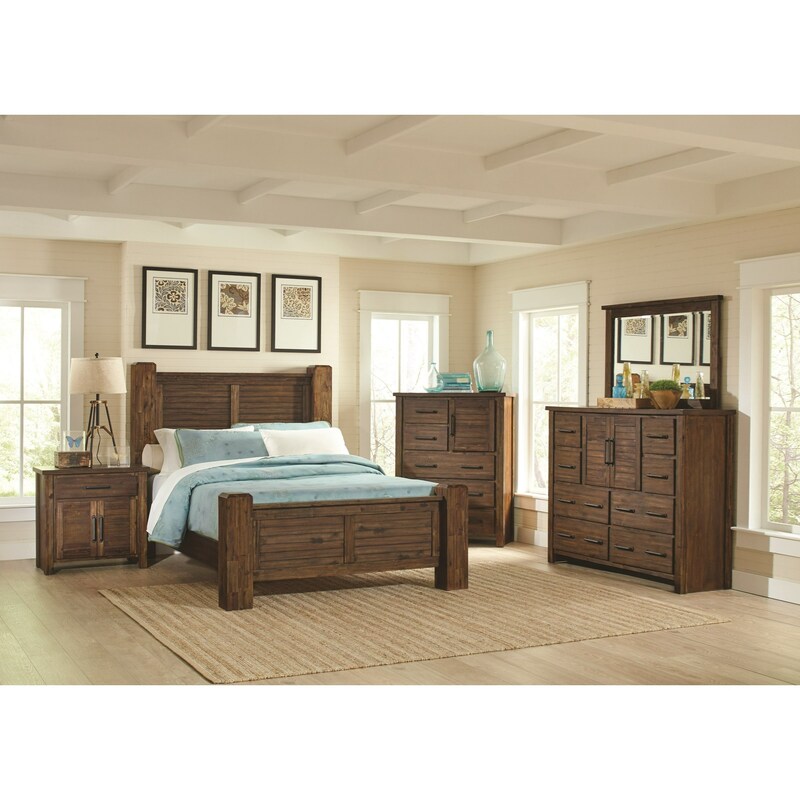 Casual design with a rustic feel makes the Sutter Creek bedroom collection contribute to a welcoming master bedroom atmosphere. Each piece features the natural beauty of wire brushed acacia veneer in a Vintage Bourbon finish. Finished drawers, brown felt lined top drawers, and dovetail construction on the storage piece add to the quality and ease of use of the storage pieces. The Sutter Creek collection is a great option if you are looking for Casual furniture in the Syracuse, Utica, Binghamton area. 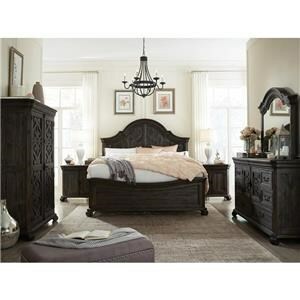 Browse other items in the Sutter Creek collection from Dunk & Bright Furniture in the Syracuse, Utica, Binghamton area.